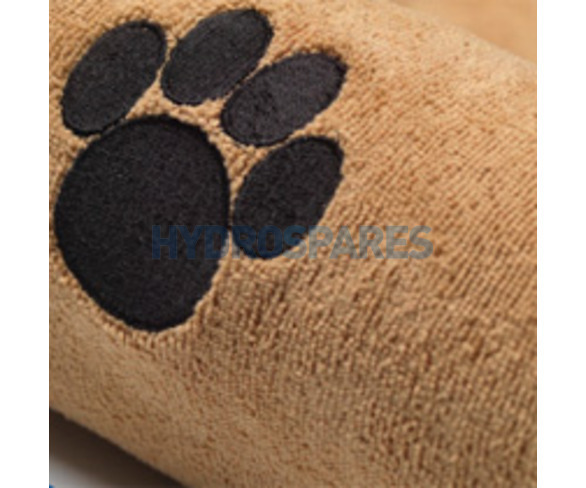 Weight: 300gsm high performance circular woven microfibre fabric. Contains: 70% Polyester, 30% Polyamide, Ultra fine microfibre, 0.13 denier. This luxurious large pet towel is highly efficient at removing moisture and dirt from both dogs and cats coats. 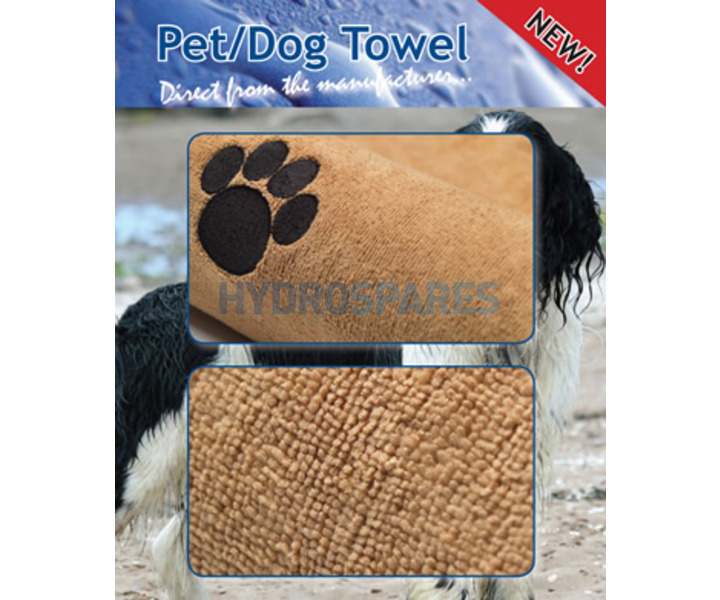 This microfibre pet towel uses capillary action to absorb an amazing amount of moisture and dirt - almost 10 times that of a normal cotton towel. It can be machine washed (and tumble dried) over 500 times at 40'C without affecting the performance of the towel. Keep in the car or by your back door to clean and dry wet or muddy paws!